We are frequently asked how to find a job in Mexico. The simple answer is that it’s difficult for a foreigner to find employment in Mexico unless they are relocated by their company or have special qualifications that would favor them over a Mexican citizen. Special qualifications include jobs that require specific managerial, technical or language skills. For example, a resort in Cancun may offer employment to a foreigner who is bilingual and has international training in hospitality management. In truth, the best way to find a job in Mexico is to do what many Mexicans do, which is to start your own business. The majority of Mexicans are self-employed in some enterprise, either formally or informally. Many foreigners have moved to Mexico and started successful businesses. Some are multinational corporations, such as Wal-Mart or General Motors. 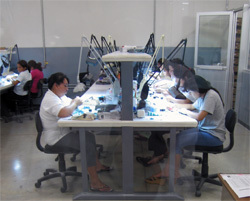 Foreign manufacturers have moved some of their operations to Mexican factories, called maquiladoras. Individual entrepreneurs start various kinds of businesses, such as opening a small hotel, managing a real estate agency, operating a tour company or simply renting their vacation home. Others work for foreign employers, using the Internet to telecommute to the office. Regardless of the business you conduct in Mexico, however, any income earned while physically in Mexico is subject to Mexican taxation, whether the income is from a foreign or domestic source. For this reason, it’s important to know the laws and requirements for operating a business legally in Mexico. Not that long ago, the laws were rarely enforced and foreigners were tempted to ignore them. Those who do so today are taking the unnecessary risk of losing their business investment. There are some business activities in which foreigners are not allowed to participate. Only the Mexican Government can operate a business involved with oil exploration, extraction or distribution. This well-known government-owned company is called Petróleos de México or PEMEX. Another government-owned energy company is the Comisión Federal de Electricidad or CFE, which is Mexico’s electric company. Some business activities require that all or some of the stock holders or members of the company be Mexican citizens. The mining and transportation industries are among these. But most business activities pursued by foreigners are not restricted. If you are unsure if your proposed business activity is restricted, contact us for clarification. The first step in starting a business in Mexico is to obtain the correct visa. Resident visas with provisions that allow the visa holder to earn income in Mexico are mandatory. The requirements for obtaining one of these visas are straightforward, and if the requirements are satisfied, approval is routine. To learn how to apply for a resident visa, read our article: FM3 and FM2 Visas. For comprehensive information about immigration laws and procedures, download our Immigration Guide. Note: If you form a company in Mexico, actions taken by a foreigner as an officer of the company without proper visa status will have no legal effect. While the process of obtaining proper visa status is pending, major acts or transactions may be conducted on behalf of the company by a special delegate appointed specifically for such purposes by a member meeting in the case of a Limited Liability Company or by a shareholders meeting in the case of a corporation. There are two types of tax identities in Mexico. A persona fisica is an individual taxpayer. A persona moral is a business entity, such as a corporation. 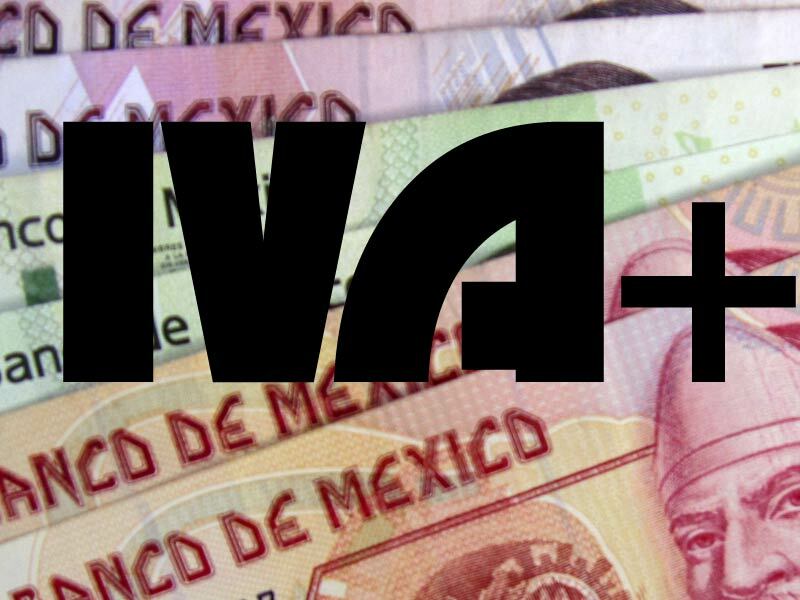 If you work as an individual and earn income directly from clients, or if you work for a Mexican company and receive income or dividends, you are required to pay taxes as a persona fisica using your personal tax identification number. If you establish a Mexican corporation or Limited Liability Company, the business entity is required to pay income taxes as a persona moral using its tax identification number. The Mexican tax authority is called Secretaría de Hacienda y Crédito Público (SHCP) or simply “Hacienda” for short. The administrative division of the SHCP for tax collection is called Servicio de Administración Tributaria or SAT. They issue a Cédula de Identificación Fiscal, which is a certificate bearing the Registro Federal de Contribuyente or RFC. The RFC is the tax ID number. The business structure you choose will depend on your business activity, level of expected income, type of capital equipment, number of employees, legal liabilities and many other factors. If you are an individual providing your services to clients and are willing to accept personal liability, then you can probably conduct business and pay taxes as a persona fisica and not establish a Mexican business entity. This kind of worker is generally referred to as an independent contractor. These jobs include lawyers, doctors, translators, photographers, massage therapists and consultants, to name a few. As an independent contractor, you can issue formal invoices called facturas to clients that require them, and these clients will withhold and pay your taxes. Income received from these clients is called honorarios. If you receive income that is not reported by your clients, you are personally liable for the withholding taxes and they must be paid by you through a Mexican tax accountant. Note: Foreigners who want to perform certain activities, such as legal or medical services, will need to validate their credentials according to Mexican legal criteria for their specific field. There is technically no such thing as a “sole proprietorship” in Mexican business law. However, there is a sole-ownership form of company called Actividad Empresarial. There can be only one shareholder and the individual is liable for any and all aspects and activities of the business, and his personal assets are at risk. Neither can the corporation own real assets. But it can employ others, issue facturas and pay taxes as a business entity. Note: Independent contractors and small businesses, such as the above, may receive a tax designation from SAT called Pequenos Contribuyente, or small contributor. If the business earns less than $1.5 million pesos per year (roughly $120,000 dollars), then it can pay a reduced flat tax with simplified tax filing. Foreigners must hold a working visa to qualify. In order to establish the corporation, initial stockholders must deposit at least 20% of the total share value into a bank account in the name of the corporation. The remaining 80% must deposited into the same account according to a schedule established by the shareholders. The company may be managed by a single individual (Administrador Unico) or a board of directors (Consejo de Administración) (who may or may not be shareholders). Directors are appointed by a meeting of shareholders for a specified period of time and are subject to dismissal. Ordinary shareholder meetings are held at least annually to appoint or release directors, establish compensation and approve the company’s financial statement. 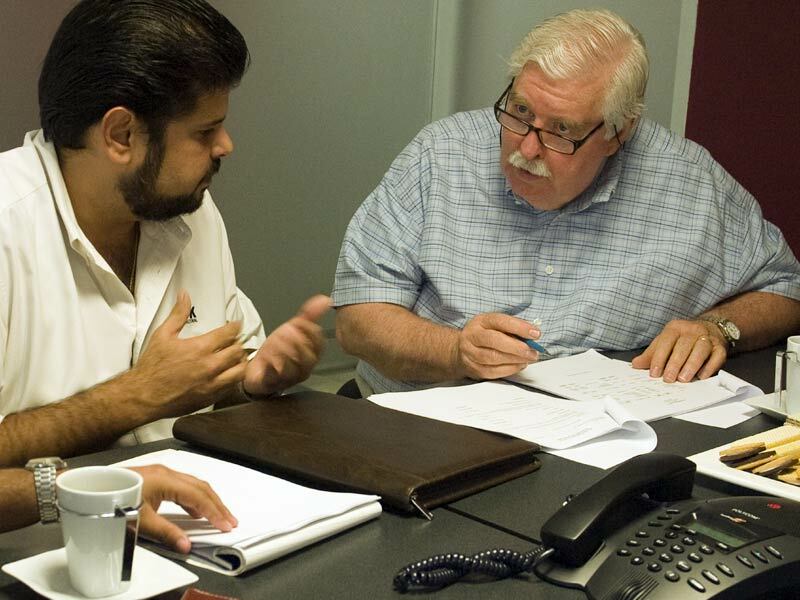 Extraordinary meetings can be held as required to modify company bylaws or for any other reason. Decisions in ordinary shareholder meetings must be approved by at least 51% of the votes. In extraordinary meetings, decisions must be approved by at least 75% of the votes. These business entities are established through a legal document called a Constitutiva. From a legal, accounting and business administration perspective, there are no meaningful differences between a Mexican corporation and a Limited Liability Company. The only significant differences are those related to the formation and management of the company, as indicated above. According to the Ley de Inversion Extranjera (Foreign Investment Law), in becoming a member or shareholder of a Mexican business entity, you agree to act and be treated like a Mexican citizen in the context of property ownership and business operations. Any attempt to seek protection from your country of origin can result in forfeiture of your shares or membership in that business entity. One of the advantages of establishing a Mexican business entity is the ability to hire employees. 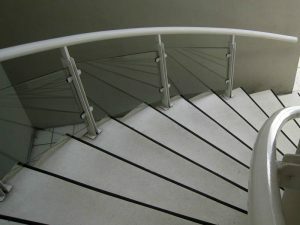 Foreigners need to be aware that Mexico’s laws and traditions generally favor the employee over the employer in any dispute. For this reason, it is important to learn what constitutes fair treatment of workers in Mexico and how to protect your business interests in the event of a conflict. We strongly recommend that foreigners intending to hire employees in Mexico download and study our Employment Guide. There are several other types of business entities in Mexico that don’t often apply to foreigners starting a business here. These include non-profit organizations called Associación Civil (A.C.), which are mostly charitable groups, and professional organizations called Sociedad Civil (S.C.), which are generally comprised of accountants, lawyers, teachers, engineers and others with shared disciplines. If you have an interest in starting one of these types of business entities, please contact us for more information. Mexico’s modernized economy is more vibrant than is generally recognized and offers a unique opportunity to foreigners thinking of starting a business. Over the past ten years, Mexico’s stock market has outperformed the S&P 500 by 400%. Economists estimate that Mexico’s Gross National Product (GDP) will grow more than twice as fast as the United States’ in the coming year. Surprisingly, job growth in Mexico exceeded that of the United States over the past two years. In the last ten years, the public and private sector have invested millions in new or improved infrastructure, including highways, airports, broadband Internet, schools, health care facilities and shopping malls. If you are looking for a new career, see a fresh opportunity or have special skills that are needed in Mexico, it’s never been easier to start your own business “south of the border”. 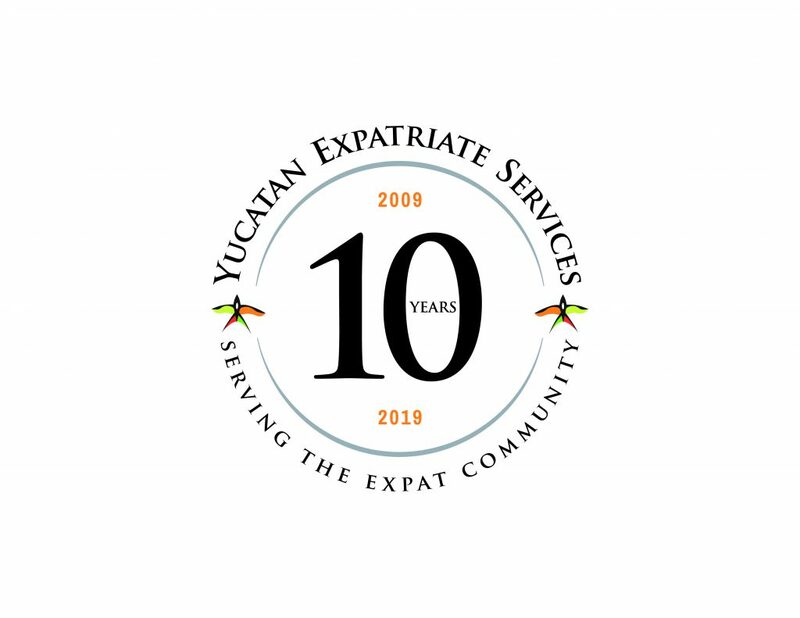 Yucatan Expatriate Services is here to help. We offer a full range of consulting, accounting and legal services to ensure that your business startup is done right the first time. Thank you very much for the business info. Will be sure to contact you later. I was wondering if Mexico offers money to people coming into the country to start their own businesses or do you have to come into Mexico with your own money? Brian, as far as we know, there are no government programs to give money to foreigners to start businesses. You must come with your own money. I’m artistically inclined and hold a bachelor’s degree in art. That was not my career in the states; I was a psychologist. I am wondering if I am permitted to sell my various works of art along side other vendors? If I’m the only one in the “business” do I still need permission or permits and if so what? I have over 25 years experiance in residential and light commercial water conditioning including Desalinization. I see one company in Merida and wondered if there might be more. I have tried to contact them but got no reply. I would like to be of service to the Canadian and American “snow birds” as well as those who live there full time. I would like to have a small bussiness with a small yet exclusive clientel. Do you think this may be a benifite to the area around greater Progresso?? Dave, I think it is just great that you are trying to come to Mexico and try to open a business of your own. What I can tell you is that the expat community in Progreso and nearby areas is growing and the offer of services is not as large as in Merida, so starting from that you already have an advantage. I wrote you an e-mail a couple of days ago to set up an appointment here at YES as per your request; i think during your visit to Yucatan you´ll be able to investigate further about the market and also in our meeting we can provide you with extra information. I have a cupcake business here in the US. My husband and I want to re-locate to Merida, Yucatan. Is there a need for this type of business there and would it be hard to get started? Please don’t take this wrong, but we can’t resist: Is there ever a NEED for a cupcake business? There are bakeries here, and some companies that sell cookies. We have not yet seen a cupcake store like there is in the States. Something like that might work in a highly-attended tourist area like Cancun or Playa del Carmen. There was no need for cookies until a local entrepeneur opened a shop; now she has 4 locations in Merida alone. A cupcake business was opened recently in a local mall but it has now closed for lack of sales. William Lawson happens to be married to the local entrepreneur he is referring to, who has been very successful selling cookies. As I think he is pointing out, it takes more than a quality product to be successful here, as anywhere. If you are a good business person AND have a good product, you can probably make it work here. But you might be starting at a disadvantage without a good understanding of the local culture. Besides showing about the free cookies, that was what I was getting at. Everyone said “cookies?? ?” but if you do it right, you can be very successful. Hi. I am living in Mexico and have my FM3. I am opening a women’s clothing shop with clothing from India in an expat area. I will be hiring two Mexican women. I am just starting the work papers process. In your experience, is this likely to get approved? How long does the process generally take? is there anything I can do to make my application more favorable? My long-term goal is to expand this store to other tourist areas and larger cities withing Mexico. I am currently an experienced Spanish teacher in the U.S., I recently visited Tulum, Isla Mujers, and a lot of what s between and noticed the need for both Spanish and Englsh learnng. I want to open my own busniness teaching either Spanish to tourists or English to locals or both. I have thought of both opening and actual school and of just being available to go to homes or businesses to teach. I am also interested in being a directora of a Spanish or English language school that is already in existance. What are your thoughts on what would be most sucessful and where. I would rather not live in Cancun. I am currently an experienced Spanish teacher in the United States. I recently visited Tulum, Isla Mujeres, and a lot of what is between and noticed the need for both Spanish and Englsh learning. Part of me wants to open my own business teaching either Spanish to tourists or English to locals or both. I have thought of both opening an actual school and of just being available to go to homes or businesses to teach (school w/o the costs of a building). I am also interested in being a directora of a Spanish or English language school that is already in existence. What are your thoughts on what would be most sucessful and where? I’m 68 and my wife is 52 years old. We are both SCUBA Instructors; I am also a certified cave diver. We have an LLC and a website in the US where we offer a very specific and “high end” form of training. We have no storefront or retail business and seek none. We have 23 years of dive history in Quintana Roo and have wanted to relocate to the area for a long time. I collect Social Security but my wife is still 7.5 years away from touching her retirement money. I speak “good enough” Spanish and some Maya. I spent a month in Merida in 2006 doing a Spanish immersion with a family in Col. Miguel Aleman. I would want to offer the same high end mentoring in Cozumel that we now offer online. I would not want a boat, a store or employees but would use my colleagues there (all Mexicans) just as I have for years when we marketed this as dive travel. I have an operator/guide, a videographer and a cave instructor who I can contract with to support my specialized workshops. I could also perhaps contract with them as a cavern guide, for example, on a limited basis. Can you see any ominous roadblocks to this modest business goal? In short we want to live on Cozumel and supplement our income by doing what we love BUT without stepping on too many local toes. John, in order to live and stay in Mexico, you will need to qualify for a visa. With your Social Security income, you can probably qualify as a rentista, but your wife may not be able to. It would be best to give us a call to go into this in more detail. As for stepping on local people’s toes in the scuba diving industry on Cozumel, it sounds to us like you would be doing the same thing you are doing in the States, and they are friends with you and get business from you now. We see no reason why that shouldn’t continue and they shouldn’t continue to be happy about it, but you would probably do best to check with one of them to be sure. i am a tattoo artist and i was wondering if progreso has any tattoo shops. i would like to move there and open my own shop. what are the rules and regulations? i’ve been told that you could open up out of your home. while i wouldn’t want to do that it seems like the laws are pretty lax. any info would be appreciated. I live in Baja California Sur and am interested in opening a very small fishing and tackle store. I am unsure of how to go about obtaining the inventory at retail and importing it without having to open my books to the US government showing that I have sold good in the US. Is the best way to get an import/export license? Would I still be subject to import taxes being on such a small level? I will have one partner in this venture with no employees. Do I need to incorporate? 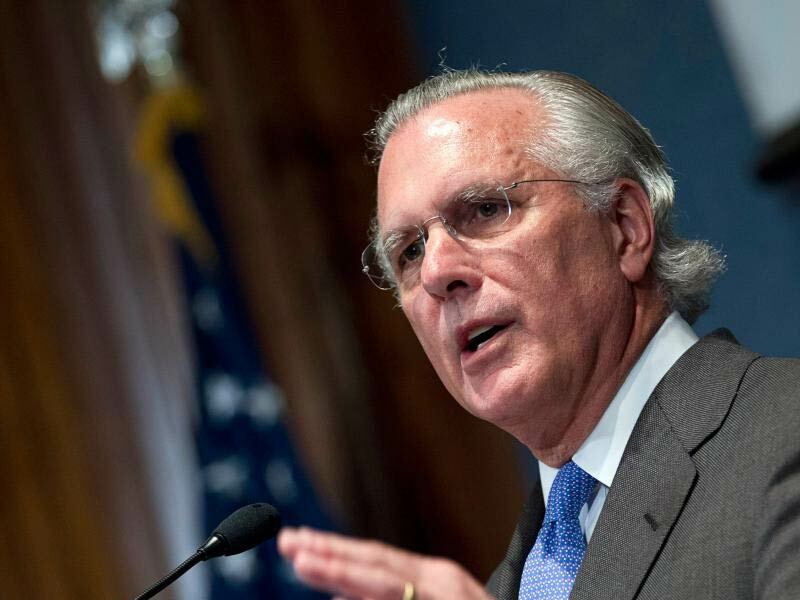 My main concern is getting goods into Mexico retail and not having to show the US government sales on those goods and skirting around import taxes. Hi there. I used to live in Playa del Carmen from 1995-2000 and now I am thinking about going back to start my own business. Last time I was there I noticed that there were still no decent underwear/dessous-shops. I believe, if the shop is adequate (no cheap stuff), it could work. What do you think? Any recommendations? Are there decent manufacturers in Mexico or do you recommend importing? Theresa, we cannot comment on how to pay or avoid paying US taxes. If you have a business in Mexico, you can incorporate or you can set up a small business (pequeño contribuyente). In either case, you should see a local accountant. Whenever you are in business in Mexico, we recommend that you hire an accountant to help you file your monthly and yearly tax returns. I operate a successful gift basket company in the US. I am thinking about moving to Merida. Is this something that is culturally transferable? Does this type of business exist there? Myself and my husband are very experienced European hair stylists wondering if a freelance hairstylist would work in the Playa del carmen/Cancun area? We might consider setting up a small salon but at first we would have a web site and do some marketing. Would it be difficult to get a visa? Also is there anywhere else in the Yucatan that this might work? Tina, you can set up a company and get a visa as the executives of that company. This costs money with a lawyer and an accountant, but it is easy to do. There are, of course, many salons in Mexico. However, a good hair stylist is always a popular person, especially in the expatriate community (one who speaks English). Other places that might have enough traffic for that type of business might be Merida and Tulum… but as you recognize, it is a matter of good marketing. Also, unless you are in a very popular tourist area, like Playa, you will probably need to also cultivate clients from the local community in order to do well. Good luck! I am a canadian dentist looking to move to Mexico.Are there any requirements in order for me to open my own practice or work with/for a local dentist.Is my licence recognized and do I need to any exams to qualify to practice in Mexico. Thank-you Ken S.
Ken, you will have to validate your studies before the Mexican Ministry of Education (SEP in Spanish) in order for your license to be recognized. 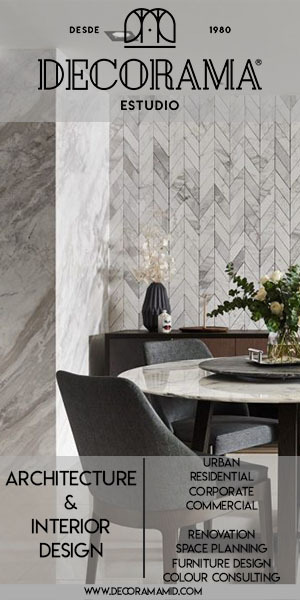 You will need to present some documents and wait for approximately 15 days. There is also a fee involved. If you need further information please contact me to adriana@yucatanyes.com. Hello, my name is Brian and my wife and I recently made a trip to the Mexican Riviera. We loved the area and taveled around Quintana Roo to Cancun, Playa del Carmen, Puerto Moreles, and Tulum. My wife is a MExican citizen, having been born and raised the first 25 years of her life in Michoacan. We want to open up a clothing and accessory store around the Chetumal area. We noticed there were no high end stores for labels like Nautica, D&G, Polo or Tommy. Can you recommend proper procedures for importing the clothes from America. We are planning on doing this within 6 months and from our trip, we know there is a good market for us. Thank for any suggestions!!!!! Brian, we would suggest you to contact a customs broker to help you in the import procedures; as far as we know importing apparel may be subject to taxes depending on the place where you are making the import from. Please contact “Agencia Aduanal del Valle”, they are affiliated to the YES network: http://www.aadelvalle.com.mx, malu@aadelvalle.com.mx. Import tariffs on clothing made in Asia are ridiculous plus many Mexicans from this area, even from Merida, cross over to Belize (through Chetumal) to buy ultra cheap knockoffs of brand name merchandise. The people that can afford originals go to Miami or Houston. I have a website business that I operate on my own and make a very decent living. I’ve been doing it for years now, but would like to live in Mexico and do my business work (2-3 hours a day these days) legally and from my home. What is the best way to go about this? Can you recommend resources? What percentage taxes does one pay on income like that? We will be operating a business tied to the cruise lines. My question is do we need to incorporate in Mexico? Or can we be covered by the flag that the vessel is registered with (through maritime law) in Cozumel? We would like to approach this legitimately, and not incur any issues down the line. We will be operating a tourism vessel and offering a variety of services like sightseeing, weddings, and a late night booze-cruise. We will employ 20- 50 people, and our corporation will be mainly individuals from southern Florida. No one will work jobs that can be done by locals; however we will have an American captain that will watch every step. We do not want to jeopardize this since there will be a huge expenditure to get this up and running. Actually, Bruce, there are very strict laws governing this type of activity in Mexico. And the rules are more complicated than we can elaborate in this venue. We suggest that you contact Ignacio Puerto at Puerto Y Pino Law Firm (http://www.puertoypino.com) so that he can refer you to a good lawyer in the Cancun area (same state as Cozumel, Quintana Roo). Ignacio speaks English and he will take care to refer you to someone in Cancun who does as well. I have been visiting Cozumel for 30 years and now have been living there with an FM3-“retired” for about a year and am interested in buying a dive business from a Mexican friend. It includes a boat with all permits, equipment, website,etc. I would employ the current captain. What steps do I need to take? Do I need to keep my Mexican friend as part owner, etc.? Cary, we suggest that you contact Ignacio Puerto at Puerto Y Pino Law Firm (http://www.puertoypino.com) so that he can refer you to a good lawyer in the Cozumel area that can offer advise on the business you plan to buy. For preliminary questions, Ignacio can help too. Hi Mike, as a starting point, we´d suggest you to visit the website of the Secretary of Tourism in Yucatan: http://sefotur.yucatan.travel/en/; you will find interesting information about what Yucatan offers and also the name and routes of travel agencies and tour companies in the State. If you need further information, you can contact me through my e-mail: adriana@yucatanyes.com. Say hello to Luigi please! My husband and I are considering the Yucatan as a possible place we may wish to transfer for a few years. We live in Australia at the moment and would like to know if there are any Professional Antique Clock Reapair businesses in Merida, and if it is something people need. My husband has over 30 years experience in repair and restoration of all grandfather, and other types of clocks. Elohisa, there are some stores that sell and repair antique clocks. However, it would be convenient to have more businesses like yours specially for the expat community, whose members speak English and sometimes it is difficult to express themselves with local stores where the owners only speak Spanish. Our advice for you would be that you come to Merida for an exploratory trip and you do some research. If you need our help for this, please contact me through my e-mail adriana@yucatanyes.com. My name is Angel, my girlfriend and I have recently explored the possibility of moving to Merida and possibly opening up a small Cafe (that also serves spirits) and caters primarily to the Expat community. We really aren’t looking to compete with any existing tourist bars, nor are we thinking of building anything too big, we simply want to find a place that we can use to entertain as more of a social club rather than a restaurant. I am not sure if there are many places with a similar concept or if the market even exist, nonetheless we plan to take a trip out in May in hopes of learning more about current Americans (or others) working/living in Merida. We currently reside in Portland, Oregon, we have successfully owned an establishment like the one described above in a small town in our east coast, we feel very confident that if there are Americans there we can make this work, but I am sure you come across these types of scenarios more often than we do. Victoria, the business climate on Cozumel is changing all the time. We cannot recommend whether starting this kind of business is a good idea… in our opinion, you can only make that decision for yourself, and probably only after spending some time there getting to know the place. However, if you have any questions about the technicalities of starting a business in Mexico or doing business in Mexico, we can be of assistance. Thank you for reading the YucatanYES.com website. Angel, there is an expat community here and they enjoy going out and having new places where to hang out and meet new people. You´ll see it with your own eyes when you come. Please feel free to contact us to arrange an appointment if you need our assistance while you are in Merida. Elohisa, we do not know of any antique clock repair businesses here in Merida. In order to assess whether or not there is a need for that, we feel you would have to visit here and/or do your own research. Good luck! Daniela, we honestly cannot know if your pastry shop would be successful in Playa del Carmen. We encourage you to visit, do your own research and follow your dream. Good luck! Expand into Mexico. We have 20 years experience. Also, thoroughly love your website! Pam, we are happy that you enjoy our website! About your question, we do not know if there will be an interest for your type of business in Merida. We encourage to you visit the city and explore it. If you want to begin the procedure to start your business here, we are here to help you with the procedure and paperwork for a small fee. Good luck! will be in your área next. Daniela, Mexicans love all kinds of sweets! It´s not like we prefer typical over non-typical, as long as it tastes good, then we´re fine with it! Here in Merida people eat both typical sweets and also cupcakes, cheesecakes, brownies, etc. However, Playa del Carmen is a different market because it is really touristy, a lot more than other cities in Mexico. We think this will give you even a bigger edge, since you will be able to offer your product to a wide variety of people. If you are able to offer something tasty at an affordable price, we don´t see why it wouldn´t work. Keep in mind safety issues in Playa del Carmen for small independent businesses. WilliamLawson: there are some safety issues for small businesses in Playa? Like robberies? I don’t know anything about that. Please give me more details? We would like to open a very hip & small tropical clothing boutique at a beach town in mexico. The clothes would be New U.S Brands brought to Mexico from the U.S. I am a U.S. Citizen and my husband is Mexican. Before we move forward in this brilliant plan I am desperately trying to find rules and laws in regards to importing clothing (into mexico from U.S) on a small scale. Hello, this is a great web site. I own a small business in Los Angeles which I’m relocating to Texas. I provide loans to small businesses in the U.S. I would like to open a small call center in Puerto Vallarta. Do you know of any good attorneys in Vallarta/Nayarit? Is it cost effective after all the taxes? I would imagine wages would still be considerably less in Vallarta than San Antonio. Hello, love the great info! Thanks! My husband and I own and electrical and HVAC company in the states. Would that be a possible company for an expat or is that monopolized up with many local companies. We stand out here with excellent service. NOt sure if that would even work in Progresso/Merida. Any thoughts? Sharon, thanks! We´re glad you like our site. We cannot say if it will work or not, but yes there are many local companies that provide such services. You should try to como here and do some market research and analyze if it would work or not, perhaps it would be good to have one company owned by expats that are looking forward to work for expats! So next march i am planning on moving to the lovely city of Merida. I have been there 3 times in the last 14 months and have absolutely fallen in love with the city. Luckily that is where my girlfriend is from, so i have a built in support system already, and friends. Anyways, my question is, how big is the fitness community there? My dream would be to open up a gym down there. I am curretly a certified fitess trainer, and soon to be a certified fitness nutritionist. Do you thik this would work well there if that kind of business isn’t already saturated down there? or if there is a need for a gringo trainer for expats? I know there was another trainer who used to be in centro, but i was told he may have moved back to the states. any advice would be truly appreciated. There are of course, other smaller gyms. Alex, to incorporate an S de RL de CV you will definitely need a Notario. After it is incorporated, you will need to hire an accountant to file monthly and annual taxes for the company. Hi, this website is great! I’d like to set up a business in the Cancun or Tulum area. a) Language school offering language classes in English, Spanish, German, French, Italian, and Chinese. I could also provide language classes focusing on business, technology, etc. c) A company giving classes in different IT areas, such as the Microsoft Office, Cisco, Java, C++ Programming, etc. Would I need to have any special “teaching licence”? I have 3 Bachelor’s degrees and 2 Master’s degrees in computer science, teaching languages, and linguistics respectively. Alexander, we´d say you could start with option a) since there´s definitely space for that in Cancun or Tulum because of the tourism/expats living in the area. Of b) and c) we cannot say for sure, it is something you´d have to see and experience once you are established there. You will need to have the appropriate visa to open a business, but not a teaching license. John, thank you, we´re happy you like our website. We think any property in Centro can have demand; by locals you mean Mexicans or Yucatecans? If you are referring to Mexicans -from parts of Mexico other than Yucatan-, yes you can find demand, as long as it is well priced. The best way to purchase a property that will have commercial purposes is through a corporation and yes this will be classified as a business for a visa. My wife is from the Yucatan but has not lived in Mexico for twenty years. We have been married 14 and are planning on moving from Pennsylvania in the next couple year to Merida. She is a hair stylist and we are thinking of opening up a shop to cater to both expats and locals. She handles the customers…I would run the biz and do the marketing. My question is where do we start looking to see what the financial requirements are to make the move and start a business like that. We were hit with some major financial situations and are pretty much working from scratch. Is there a website or information that would address this? Hi there. My wife and I want to move to mexico and possibly get into the property management business in or around Playa Del Carmen. We want to open up this business ourselves and are wondering if there is a demand for this type of service, as well as how hard this would be to do. Navigating all the information on the internet can get confusing. If anyone has done it or can provide any feedback. That would be great. Thank you. Trevor, since we are based in Merida, the information we could provide you about the property management market at Playa del Carmen would not be accurate enough, although we have heard there is demand for the service. We leave this space open for anyone who wants to share his/her comments about it with you. We operate a small construction management company in Canada, we have often wondered if we could expand our operations into the Yucatan. Is there much resistance to Canadian construction companies if we do not compete directly with the local firms on fixed price contracts? Torie, we don´t think there is such thing as a resistance to Canadian construction companies in Yucatan. You should come down and do market research to see if it´ll be worthy for you to open your business. There are many local construction companies here, but the market always welcome someone with good prices. I would like to start a tour venture with horses down in Telum. I have an idea on what is needed to qualify for the permits and such but have no idea what I need to do with my visa to stay longer then the 180 given. Could i go to Belize when my time is up and stay a few days them come back into mexico or do i need to go back to the us and then re enter mexico. What type of visa do I need to start a small business down here and live? Ernest, your type of visa will depend on your business and if you will open a company or pay taxes as an individual. Please email us at info@yucatanyes.com for more information. 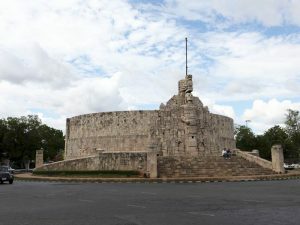 Ulysses, we invite you to read the following article published in Yucatan Living´s website: http://www.yucatanliving.com/yucatan-survivor/the-cost-of-living-in-merida-yucatan.htm; it contains information about the cost of living in Merida, Yucatan. How does one go about getting involved in the Taxi or transportation business? Do you buy Medallions like in New York? Thank you. Mike, there are special license plates that these vehicles use and that can only be provided to Mexicans or Mexican corporations with a majority of Mexican shareholders. If I where to start up a business, example Property Managemnt, can I run the business myself or do we have to hire Foreing Nationals to do the work for us? Belinda, you can run the business yourself but you need to have the appropriate type of visa. And which Visa would that one be? Any ideas!!! Mike, the majority being who has the higher percentage of shares; so, the corporation should have a Mexican partner with at least 51% of the shares. Belinda, it would be a temporary resident visa or a permanent resident visa with the authorization to engage in lucrative activities. I’m an Irish citizen and would like to relocate to the Tulum area and set up a small tourism driven business, incorporating a small ‘hotel’ or B’nB and water sport adventure activities. 1. What would I need to qualify for a business/residence visa? 2. Can a foreigner apply for a mortgage or bank loan to assist with setting up the business? I would have a small deposit to put down. i.e. is finance available for purchasing property? 3. Would a visa and/or business loan application looked upon more favourably, if the business plan included plans to employ local people. Great website by the way!! 3) If you will employ local people, yes it will help you for your visa. If it will help you for the loan, we suggest you confirm this with executives from the bank. I was wondering if I can get advice on starting a small IT PC repair business in Merida. I have a girlfriend who is from the city and I know that with the recent foreign residents that they would probably like to get more English speaking IT help. I am wondering if you think that possibly it is possible to do a simple PC Repair business or it is not good to do there? Thomas, yes, there is a growing expat community in Merida and we receive multiple requests of English speaking IT help. We think you´d have customers, but of course, at the end, the success of your business will depend on if you can provide a good service, quality and affordable prices. Good luck! Can we move down to Yucatan and then apply for the Visa there for the appropriate type of Visa to open up a business. I am looking to start a business in the Yucatan and figure a limited liability corporate structure would be the route to take. As a corporate officer, what type of visa would I require to work in Mexico? Would that visa requirement change if the business operated less that 180 days a year? Russell, a temporary resident card can work for you as long as you notify Immigration authorities about the activities you will do in Mexico as a corporate officer. If the business operates less than 180 days a year, and you don´t need to be in Mexico for more than 180 days in a row, you could use the FMM checking the box “visitante actividades remuneradas”. How does one go about opening a business in Merida? We would like to come down to Merida for 6 months to a year to set up and get it started but not live permanently. We currently live in the US. Thank you in advance for your response! 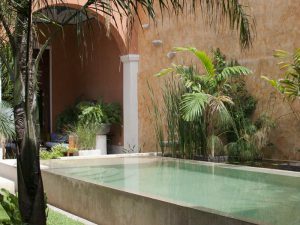 Starting a yoga/meditation retreat center in the Merida area… visa-wise what are the minimalist financial requirements? And, the path toward permanent resident status from there. It sounds as if starting a business is the less well to do path to residing in Mexico. Yes? Also, properties outside of the city needing a new well… are there foreigner restrictions… like in Baja Sur? Tom, if you open a business you do not have to show financial statements, just the corporation papers. The path toward permanent resident status if you open a business is that you need to have 4 years with temporary resident status to then apply for the permanent, or if you receive income from a pension of at least 2,500 USD in your last 6 bank account statements. Regarding your other question, we need more information in order to answer you. Good afternoon I absolutely love Mexico. I am 30yrs old married with two small children 4 and 6 we vacation in the yucatan every year and want to finally move there I have 40k saved I’m a licensed paramedic fire fighter but tired of US life would like to know if I can find a job as a paramedic maybe in a tourist hospital or I was thinking of even opening up a small hookah lounge. We want live simple and enjoy the rich culture Mexico has to offer any suggestions or recommendations! I know living and working is different from vacationing. Carl, our advice is that the next time you come to the Yucatan for vacations you make appointments with local hospitals so you explain your plans and you can know more about your options. Also, you are going to need to revalidate your studies before the Ministry of Education in Yucatan. I am considering opening a business in Quintana Roo. Specifically Puerto Morelos. I am just beginning my research in terms of legalities. I’m sorry if the question is repetitive from what has been asked before. What type of visa do I need to apply for in order to legally open a restaurant? Where do I go to apply? If I satisfy the Visa application process can I apply for a liquor license? Do you know the cost of a liquor license? Thank You so much in advance. I am interested to know what the policies and regulations are to start up brewery or brewpub. I imagine there are health standards to adhere to. Where can I find this information? Is there even a need In Cancun or Merida for a brewery? Hello! First, thank you for all of the wonderful information you have provided! Much like Ulysses, I VERY MUCH want to relocate to Merida. I am in my early 40’s, single, have a VERY modest savings/401k and currently work a full-time job with a decent salary in the US. When I relocate, I would essentially be starting over (and am VERY EAGER for the fresh start)! I have found a quinta outside of town in Merida that I have fallen in love with (an orchard and a 2-story casa) and the father of my best friend is looking into it for me; he has lived in Merida for 13 yrs and sells real estate there. How difficult would it be to start a new business – specifically a B&B and selling fruits from the orchard exclusively to local restaurants that would be organic (meaning no pesticides)? I am ready to put my small house in the states up for sale, take the $50k profit and completely uproot myself. Thoughts? Anthony, you will need to apply for a temporary resident visa at a Mexican consulate abroad first (which is good for 180 days) and then get the temporary resident card within the next 30 days after your arrival to Mexico. You will need then to incorporate your business and once you have the corporate papers you will ask for permission to Immigration to operate the business. Once you have the appropriate type of visa letting you operate the business, the corporate papers and the tax ID of the company you will be able to request a liquor license; sorry we don´t know the cost of it. Chantal, yes there are health standards to comply with. 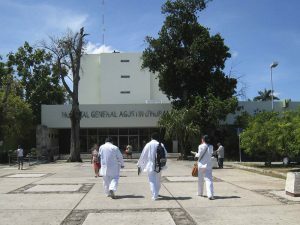 You can contact the Ministry of Health in Yucatan for information here: this http://salud.yucatan.gob.mx/?page_id=47. Please help me, I have a persona fisca and RFC and currently working here in PDC, I want to start a Independent Service/Consulting Business . I want a company name . Do I have to just regeister a new RFC? I do not want a corporation Like persona morale. But I do need a company name so I can open a bank account and be paid by checks from clients. Do i have to go to a notary before or can i just go to SAT and regeister my Business name. Phil, you may, as an amusement company. Mark, what you need to show is a minimum income of 2,000 USD monthly in your last 6 bank account statements or a minimum monthly balance of 100,000 USD in your last 12 savings/retirement account statements. Hello, I have experience teaching enlish and computers using multi-media training programs, do you think a private school using tis type of technology would work on the mayan riviera? or do you think this type of training would be too sophisticated for the mayan people? Dominic, we think your questions do not have a “yes” or “no” type of answers; it is something you should do some market research on. On the other side, it would be very helpful for the mayan people if someone could teach them English and computers so that they have more skills to find job opportunities. The question would be if they have enough money to pay for such training. Well I’m finally ready to move to Playa del Carmen next year & open a bakery/pastry shop there. What permits do I need from the government to open such a shop? What are all the regulations that I will need to comply with? I hope you guys can tell me where I can research this, even if it is in Spanish (my husband is Mexican, he can translate for me). You guys assist businesses moving to the Yucatan state & here I am asking about Quintana Roo, sorry! I just don’t know where else to research this & you’re so helpful. Daniela, please take a look at the website of the Government of the state of Quintana Roo: http://www.qroo.gob.mx/qroo/index.php; you may find helpful information there about opening a business in Playa del Carmen. I am done with my first year of the Doctor of Chropractic program in the United States of America. Where do I find the requirements to be able to open a practice around Cancun. My wife, who is a Mexican citizen, will own the business. Thank you. Brian, unfortunately we do not have that information since we are located in the State of Yucatan and we are unfamiliar with the laws and regulations of the State of Quintana Roo. Hi, I want to sell educational tours of UK and Ireland here in Mexico. I am working on behalf of a company in the UK. If I sell to agencies, I’m guessing that is straightforward and they would pay the company in UK direct. However, if I want to sell to universities/schools etc., I’m guessing a) they wouldn’t have the capability to pay in GBP and b) this complication might put them off. So they would need an intermediary. What’s the simplest way for me to “solve” this? Do I set up as a Mexican company so they can pay me in MXN and then I pay the company in UK? Francis, you could set up a company or file yourself before tax authorities as an individual with entrepreneurial activities. I am interested in starting a business renting motorcycles to tourists in the cancun to playa del carmen area. i would be the only “employee” of the business to start but would require hiring a local mechanic eventually. i would appreciate any help in guiding me thru the steps to get this venture set up properly from the start. Frank, first you need to get a temporary resident card with a work permit from the Immigration Institute and then file yourself as an individual with entrepreneurial activities in your local tax office. Greg, we´d suggest you to contact the local authorities of Playa del Carmen and tell them about your upcoming plans and that you would like to have information, here´s their website: http://www.solidaridad.gob.mx/. We´d be happy to help you but we only offer services in the State of Yucatan, not in Quintana Roo. Good luck! I live in Quintana Roo and have a Permanent Resident and all my houses and assets are in my wifes name, being originally from USA. I am opening a business and a Smart accountant suggested a Persona Fisica con Actividad Empresarial and no where in your site does it talk about this type of a business structure. First do you know where i can register a Named Company but not a SA de CV….just want a company name which may become corporation name in future if business does well (can i register it now )??? But what is the Real Reason starting a small import export sales of products should i open a SA de CV, or would you suggest as my Accountant ¨Persona Fiscisa route” …..
Also what are my downsides if any ???? John, in this article under the subtitle “Sole-Ownership Corporation” is where we describe the “Persona Física con Actividad Empresarial”. What you want to do is use a “commercial name” for your company. You can register it at IMPI (Mexican Institute of Intellectual Property), although for tax purposes this name won´t be used but your own. The reason to choose “Persona Física” or “SA de CV” is based on the legal structure you want to give to your company: if you do it as a “Persona Física” you will be personally responsible for any type of problem or inconvenience that may arise in the future (if any); on the other hand, if you choose to do it through a corporation, you will be protected by it, because you won´t have to respond personally (or your assets) for any problem that may arise. This is a decision that you should make with the assistance of your accountant and your attorney. Hello, I have a question regarding running a business in the Yucatan area. I have dual citizenship, and have been in contact with someone selling their turn key business. My question is would it be difficult running a business in mexico when ill be in California? I would most definately move if I had the chance, but my other half doesn’t want to move out to the area. Tomas, you will need to find someone of your trust to run the business, to handle checking accounts and to be able to represent your business before third parties. This is something we could help you with. Please contact us at info@yucatanyes.com for more information. I am a Canadian citizen researching the possibilities of starting a fishing charter business near Playa Del Carmen. Other then Obtaining the proper visa, are there any other regulations pertaining to owning/ operating a charter fishing vessel? Also, while visiting the area, it seemed to me that most fishing charter operators are linked to the resorts or a parent company In Some shape or form. By this I mean that the operators seem to pull from a pool of locals to captain their vessels. Is there any truth to this? Is there any advice you good provide me inorder to set up this type of venture? Hi, I am Roberto and i live in Cancun from just one month. Aaron, we are based in the State of Yucatan and we are familiar with rules and regulations in our State, not those in the State of Quintana Roo (where Playa del Carmen is). 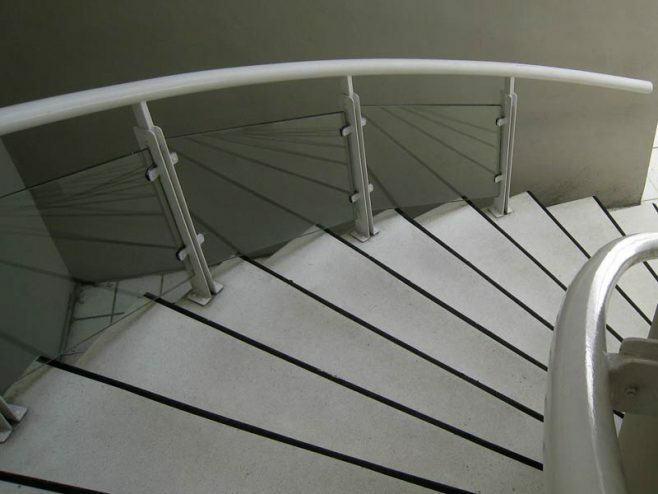 We´d suggest you to contact an attorney based in Playa del Carmen to help you with your business venture. 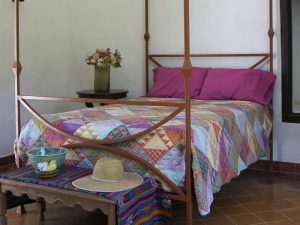 My husband and I would like to open a small b&B or guest house in Yucatan with a small attached cafe as we continue building the guest house. We are hoping to live onsite. I am wondering about two things really, if you know anything about the rules and regulations in reference to living/commercial property zoning and homes, also I was hoping that my husband and I would be the only employees. IS this allowed in Mexico? Romy, yes you could live your house and do something commercial on it as well, as long as the property is owned by a corporation; if it´s owned through a trust, you would need to have the permit of the bank holding the trust to perform commercial activities. As for being the only employees, you would have to be shareholders of the corporation or being appointed as managers in the deed of incorporation. If you are only registered as employees, you would need to also have Mexican employees to comply with Immigration requirements of work permits. If you need more information you can contact us at info@yucatanyes.com or we could set up an appointment to discuss your questions in person. Hello, I own a party bus business in California and I would like to bring some buses over and start a Party Bus business in Cancun and Playa del Carmen. I would of course start an llc. What would be the biggest obstacles to doing this? Plus, my biggest concern would be dealing with drug cartels and kidnappings. What is the current danger in Cancun for a successful business person. Thank you for your help. Marco, we can’t give you exact information regarding how safe it will be for you to move there and start a business because we are located somewhere else (Mérida, capital of the State of Yucatán, while Cancún is in the State of Quintana Roo). We think it would be better if you go first and stay for a season in Cancun so you can meet other business men and make your own idea of what living and owning a business in Cancun could be. You could also search for blogs or expat forums specifically for the State of Quintana Roo, we are sure there must be many! I would like to know if anyone knows if you have to be licensed to practice counseling in Mexico? If so, how would one become licensed there? Hey, good info on here! I’m looking to move to Merida and start a nutrition consultancy with my partner who lives in there. Do I need any pre-requisites for obtaining a Visa with working permit? I planned on visiting for 6 months as a tourist first to do some investigating with my girlfriend, however if I were able to get a working visa straight away that would be more beneficial to me. Alex, if you don´t have a business incorporated yet or a job offer you cannot start the process of obtaining a working permit. You would need to come down as a tourist or as a temporary resident without permit to work. Ok, it looks like tourist Visa then as I don’t think I can obtain a temporary residents visa as I do not meet the criteria set out on the government website. I’m only young (25 is young right?) and don’t meet the economic solvency criteria or neither of the other points. How does one obtain such a visa without getting married or having a large amount of cash lying around? You have a great site , with a ton of info to digest . What is your pricing for your services . I have been visiting the Qroo area every other month since 2012 . Thinking about about a tourism related biz. and spliting my time my month 1/2 in Florida and 1/2 in Cancun. So , I guess a 180 visa renewed all the time would cover me ? I have some questions that need answers, please contact me . I’m a massage therapist and holistic practitioner taking permanent resident status. Would like to find out what license I’ll need as well as tax filing or registration. Thankyou so much for all teh information! PS: I hold an active license in Arizona – and an inactive in Washington state and have for 22 years. Kate, if you are going to be working independently you won´t need a Mexican license to practice, unless you notice that your market or clients would like that you have one; if you will be hired by someone, it will depend upon their policies if they need you to get a license in Mexico. 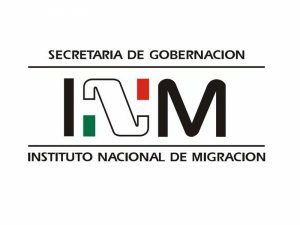 The Immigration Institute won´t need a license in Mexico for you to be able to work and practice. Now, the city hall of Merida will requiere to get a “Functioning License” (Licencia de Funcionamiento in Spanish) for your establishment. Regarding taxes, you´ll need to hire the services of an accountant to help you with that. Here at YES we can help you with your registration before the tax office and getting your “Licencia de Funcionamiento”. Please contact us at info@yucatanyes.com for more details. Cameron, if you are a citizen from a country that does not require special visa to enter Mexico (like the US or Canada), you can enter Mexico on a tourist visa which has a limit stay of 180 days. As a tourist you cannot engage in lucrative activities, but you can do the research you need to open your business in the future. I too am considering a small food business with alcohol sales. I am Canadian and reside there. I would be partners with someone who lives in cancun full time. Is this a pretty straight forward thing to be able to do? Could you provide any helpful links? I worked in a city of about 1 million in Mexico for 18 months and really liked the city. The city is in the north and a few hours from the border. I am looking to move back down there and start a few small businesses. I know it is not Yucatan but on a federal level. One I idea I have is the idea of a self storage facility. This of course will require that I own land which I can’t do as a foreigner, right? What is the feasibility of this? Not the success of the idea itself but on legal terms? Can you point me to any source of information that might help me? Are you saying I(with a a partner, as it requires at least 2) could own land under my Mexican LLC? Justin, yes, if you incorporate a Mexican LLC with another partner, the company could own the land (even in the restricted zone) and run the business. I am a registered nurse and an esthetician in the states. I want to relocate to PDC and open a small med-spa offering botox and filler injections. Does the scope of nursing practice in mexico allow me to do this? Will I need an MD as a medical director? My partner and I would like to move to the Yucatan/QRoo area. I have a close friend who is a licensed tour guide in Cancun. We would like to open a tour company specializing in deaf travel as my partner is a licensed ASL deaf interpreter. I would open the company with my friend as a shareholder, what else should we know about specialty tour operations? ( as I often see these offered on the beach in Progreso) is there any real licenses needed for this? The other idea is Pest control? And again any special requirement of this? Any insight into any 3 of these business ideas will be much appreciated. I am interested in opening up a small scuba diving shop. Fluent in Spanish , half mexican. Have family in Mexico and I’ve lived and traveled extensively all over mexico. 27 yrs old. How would I go about doing this? I am looking to open a dive business in Baja California Sur, and have been trying to look into the types of permits that I will need but am unsure of who to contact. It will be with my partner who is Mexican but not lived in the country for about 10 years so is also not sure about how business works. Do you offer services for this area or know who to start contacting? 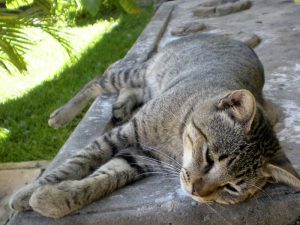 Cat, sorry but we do not offer services in Baja California Sur so we are not able to help you! We do not know of a similar company or attorney in the area either. We wish you good luck!!! Love the information here! I own a wedding vendor photo booth style business (sole proprietor) in California. We are periodically asked if we can bring our booth to various destinations within Mexico. What type of information/documents do I need if I bring our photobooth for one wedding a year? We aren’t looking to be permanent, but rather accommodate the few of those who want our services at their wedding. Thanks! Eri, thank you! We suggest you to check with Mexican customs regulations if you are allowed to bring with you the booth at no larger cost than to have it in cargo: http://www.sat.gob.mx/aduanas/pasajeros/Paginas/Mercancia_ingresar_Mexico.aspx. Regarding Immigration, if you are receiving income abroad, you could enter as tourists for 180 days. Robert, you would need to establish first the location of your business so that then you could contact an attorney/advisor/Notary Public/accountant in the area to either incorporate a small company or to file yourself as an individual with entrepreneurial activities. We do not understand if you have Mexican citizenship (what you mean by being “half Mexican”), if you do, that will make things easier; if you don´t, then you´d need to get a work permit to engage in lucrative activities in Mexico. We´d be happy to assist you if you are planning to do this in Yucatan, but based on the type of business (scuba diving) our guess is you would like to do it near a beach. Good luck! Hello! Im swiss and spent the last winter six months in baja California Sur. Im amazed by the vast wildlife of the sea of cortez. Now I want to bring Swiss people there and organize tours for small groups. I want the tours to be all inclusive. but if I want to open my own business, how do I get a working visa? Debora, first of all you must start your temporary residency process at a Mexican Consulate abroad, then come to Mexico to do the “canje” and get your resident card. Once you get this, you start a new process to get your work permit and then you file yourself before Mexican tax authorities as an individual with entrepreneurial activities. If you rather establish a corporation, then you must start by doing this and request the work permit. Hi. What would it take to bring a food franchise to Yucatán, in terms of visas, requirements & such? And would I need to buy out another fast food location to secure the right type of property? Anyone know a ballpark monthly figure (in MXN) for a small property for this purpose? Leslie, first you would need to incorporate a Mexican corporation; in terms of visas, you would need a temporary resident card with a work permit and you would need to hire accounting services to file monthly tax reports and the annnual report for your company. Unfortunately we are not able to comment as to regard location and prices. Hello and thankyou for all the great info on starting a business in Mexico. Can you guide me where i can find the appropriate insurance information to own a Bed and breakfast, with long term plans on turning the business into a more all inclusive type resort. Jennifer, the first thing to do would be to come to Mexico and either incorporate a Mexican company with a Notary Public of file yourself as an individual with entrepreneurial activities. For the incorporation you could do it with a tourist visa (afterwards getting a work permit to be able to legally represent the company); for the individual option, first you would need to get a work permit from the Immigration Institute. Robert, we think there is always a need for good technicians in the area, specially if they speak English so that they can assist the expat community in their needs. It´ll be just a matter of you coming down and promoting your business and of course providing a good service at a competitive price. Hi. Great site!!! My friend and I (Americans) plan to come to the Yucatan to buy some ‘fixer-uppers’, remodel them, and then rent them out or sell (‘flip’ them). He has the developer experience and money, but I have the bilingual and marketing background. We’ll be in business together, sharing the profits. But he wants to ALSO bring an American employee who he has worked with in the past, and pay him. In addition, we’ll be hiring some Mexicans. It will be small scale, low budget; just a few small properties. What type of visas and work permits might we each need? What permits do we need to apply now for in the states (as opposed to waiting and doing later in Mexico)? Thanks so much…!! Gary, you and your friend should apply for temporary resident visas at a Mexican Consulate abroad so that when you come to Yucatan and open your businesss, you just request your work permits at the Immigration office. About the American employee, if he will receive his payment in the US, he won´t need a work permit (but he will need a temporary resident visa as well if he will stay in Mexico for more than 180 days in a row), but if he gets paid in Mexico through the Mexican corporation, then the corporation must request his work permit. 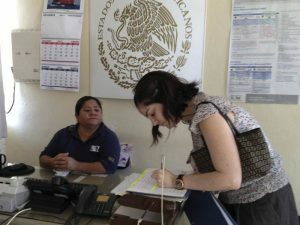 Please read about the temporary residency process in this link: https://www.yucatanexpatriateservices.com/resident-services/how-to-apply-for-a-mexican-resident-card-for-the-first-time.html. If you have further questions, please contact us at info@yucatanyes.com, we´ll be happy to assist you in this process. 1. We already have a LLC in the USA (New Mexico). Can we use that for our rehab/rentals business in Mexico, or do we need to create a Mexican LLC? 1. You will need to create a Mexican corporation to do business in Mexico. 2. That won´t apply for your situation, that information is for permanent residency, which is only for pensioners. In your case, you will be applying for temporary residency (income of 1,500 USD monthly or 25,000 USD monthly balance; both amounts for each of you). I’m considering spending part of my time in Yucatan taking photos and/or painting, selling the products to companies in the U.S. while I’m still in Mexico; I’d be making no local sales. Is this considered an activity which would require a work permit or have Mexico tax implications? Larry, you don´t need a work permit for this unless you start selling your photos/paintings in Mexico; then you would need a work permit and start to pay taxes over your income in Mexico. I am hoping to open a small B and B in the Purto Valarta area. What would I need to do? Buenos dias, soy hombre de 38 años, nacido en Matamoros, Tamaulipas. Hace 20 años me vine a vivir a Estados Unidos y aca ya soy ciudadano Americano. Pienso ir a vivir a Playa del Carmen y vivir unos años. Necesito sacar visa para vivir de vuelta en Mexico o puedo usar mis documentos mexicanos para trabajar alla y obvio pagar impuestos? (se podria decir, algo como doble ciudadania? 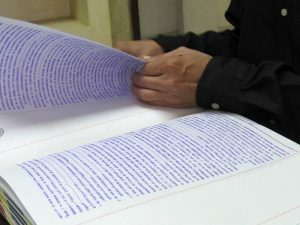 Joaquín, Usted puede usar sus documentos mexicanos. En México, Usted sería tratado como ciudadano Mexicano, no como ciudadano Americano y cuando salga del país, Usted puede escoger la nacionalidad que desee entre esas dos. Hello from Canada, I would like to open a business in Tulum selling food items. We would stay the 180 days or less and would want everything to be legal with paying all local taxes. I have recently traveled to the area and researched the business plan. Could I enter as a tourist and get legal to earn an income? If so, what would I need to secure in terms of work permit etc… Thank you for your response in advance. Thomas, no you can´t; if you enter Mexico as a tourist you won´t be able to get a work permit for your business. You must start the process at a Mexican Consulate abroad, get your temporary resident visa, then come to Mexico, exchange it for the temporary resident card and then you´d be able to request a work permit. That is, unless you have a Mexican, permanent resident or temporary resident relative, such as spouse or child; if you do, then you could enter Mexico as a tourist and request the work permit in Mexico. Good day, Please can you give me some advice ? I have been living in Mexico for five years on progressing from the FM3 to having become a permanent resident & would now like to open a Precision Engineering Shop in Merida Yucatan. Whilst I am a specialised Plastics Injection Mold Engineer, I would also like to be allowed to both take on general Engineering work & also consultations in broadening business prospects. I am looking to import a CNC Mill along with manual machinery in setting up a Toolroom & would like to know how best to open a business on following with regulations ? My spouse is Mexican, I am British. Hello, I have a question regarding bringing my vehicle with me from Canada, I was told I can only keep it in Mexico for up to 6 months and after that the vehicle has to leave the country. My question is, does the vehicle has to leave Mexico thru the same border or can I go to Belize and come back to Yucatan and, how long before the vehicle can come in to the country again. Thanks for your response and I found your site very helpul. Laura, we are glad to know that you find our site helpful! 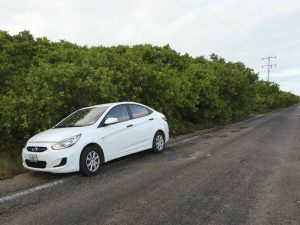 Answering your question: if you are coming on a tourist visa, which is good for 180 days only, yes, the vehicle can only stay in Mexico for that same amount of time; but you can drive it out of Mexico at any border and then come back getting another tourist visa and another temporary import permit for 180 days. You can come back the very same day. My husband and I have our own photography company here in canada. Can we move our business to merida or progreso and open it there as a independent contractor. therefore would we need to get a work visa from someone in mexico to start this or can we move there and pay the fees to open a business there. like how we did here in canada starting this one up here. Any help and suggestions would be greatly appreciated. I’m looking at creating an llC in Mexico near playa del carmen. How do I go about doing this? Hello! I am interested in moving to Tulum and opening an animal sanctuary for house rescue animals. On the property I would like e to have small houses and other housing that guests can use while visiting the sanctuary. Do you see this as a possibility in starting the business? Any advise on which type of business to create this with? Thank you! I have a pretty successful online business I run from Texas and sell thru Amazon, ebay and my website. 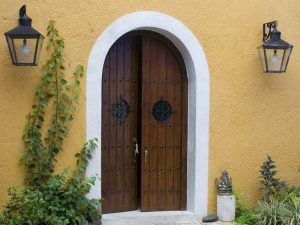 I’m thinking of buying a home in Yucatan somewhere and is it possible to run a business online in the area. If I could spend a few months in Mexico and a few months in Texas and have my online business in each country that would be the ideal situation for me. Not only that. Could pay for the home I buy. Christina, if you are going to be involved in any lucrative activity in Mexico you will need to get a temporary resident card with a work permit. You don´t need to get it from “someone”, you can get it by yourselves applying for it at the local Immigration office, provided you already have your temporary resident card. To get the temporary resident card, you need to start the process at a Mexican Consulate abroad. John, you will need to hire the services of a Notary Public to help you with the incorporation of the LLC. Unfortunately we cannot help you since we are based in Merida. Good luck! Albert, our suggestion is that you contact an attorney/Notary Public in the Tulum area to assist you with your project; we are in Merida, Yucatan, not far away, but it´ll be better that your advisor is in the State of Quintana Roo since they will be more familiar with the rules and regulations. Nathan, yes, you could do that! Hello could you please provide a link that offers more information on how to get work permit in Mexico? Nuestra intencion es abrir una empresa que se va a dedicar a la importacion de los vinos, con la entidad juridica en Merida/Yuc. 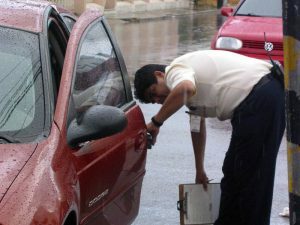 Hemos llegado reciente a Merida para revisar todos los tramites en realizar la importacion del vino. 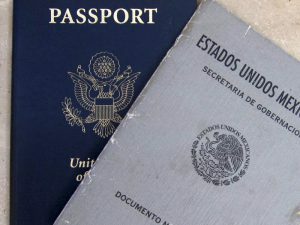 Me gustaria saber si hay la posibilidad de obtener el visado corecto mientras estoy de visita aqui (estancia hasta 180 dias / pasaporte EU) en Mexico para iniciar una empreza aqui en Merida o necesito tramitar ante la Embajada o Consulado de México en el pais donde tengo el domicilio? P.S. A caso si saben … me gustaria saber cuantas bottelas del vino en muestras se puede enviar a Mexico para una persona fisica / persona moral? Le agradezco su tiempo y la informacion! Vasile, Usted necesita tramitar su visa en un Consulado Mexicano en el extranjero, no necesariamente donde tiene su domicilio, puede ser cualquier Consulado Mexicano. Una disculpa, pero desconocemos el mínimo de botellas de vino en muestras que puede importar ya sea como persona física o moral. Hello, I am a US citizen with a Residente Permente. 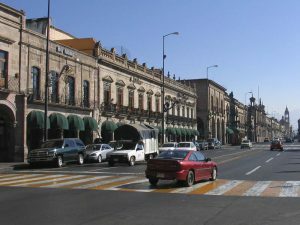 I am looking to start a business in the Guadalajara area but don’t know the laws. I have a couple thoughts and would appreciate information in where to research the laws. One thought is to purchase and export craft goods from Mexico to the US. The other is a making food products to sell at local community stores, like Kettle Corn (a type of sweet & salty popcorn) etc. We are 2 adults (Canadian) and a 5 year old looking to move to Puerto Vallarta and operate small cafe. We would rent the place for business monthly. First step is applying for fm3 and that should give us permission to rent a small space and once there get a small business licence correct ? Would we be ok running the cafe ourselves or is hiring a local employee mandatory ?! Of course it would be good for business but just wondering. Any good contacts for a contador/a or notary or lawyer in that area ? We are going next week and again in September. Lorraine, we suggest you to contact a local attorney and if you will be exporting products, to contact also a local customs broker. Unfortunately we cannot be of more assistance since we are not located in Guadalajara. Melany, we are happy that you like our site, thank you! For you information, FM3’s no longer exist, now they are called temporary resident cards. You should start your application at a Mexican Consulate abroad and then finish it in Mexico, in your case, that would be at the Immigration office in Puerto Vallarta. You can read in detail about the process and requirements here: https://www.yucatanexpatriateservices.com/resident-services/how-to-apply-for-a-mexican-resident-card-for-the-first-time.html This card won’t allow you to work yet; for that you will need to either form a corporation or file yourself as an individual with business activities before the Mexican tax authorities. You do not need to hire a local employee to run your business, you could do it by yourselves, although if you need additional help, it would not hurt to have someone local help you. We are sorry but we do not have referrals of accountants or attorneys in Puerto Vallarta, since we are in Yucatan, southeastern Mexico. Good luck! Thx for the link super helpful ! And I’ll keep reading your site !!!! Melany, you’re welcome! The 180 days start the date that your visa will say so, it will have printed a day of issue, and a date of expiration, those are the 180 days in which you are allowed to enter Mexico using that visa. If it’s approved in September, you will have until March 2017 (depending on the specific date printed in the visa). Wondering where you go request a licence for a small cafe once you ten a space !? I guess you could declare your self as solo owner with taxes after you obtain licence right ?! Melany, you must get in contact with the city hall authorities to get the license. Hi again ! Having a hard time with deciding how to go about our relocation to Vallarta. Would you happen to know if it’s ok to go there in regular visitor permit for 180 days and leave once that’s over only to come right back a couple of months later ? I mean I have gone on vacation 3 times already this year so each time is good for 180 days and there’s no limit so you can go back again (just need to exit and re-enter ? Because we do not meet the economic solvency of 31,000 a month for past 12months We are told to go for 180 days, , set up our business and apply for permit with legal advice and once that’s done leave Mexico and then go apply for resident visa. That way, because of business we will not need economic solvency of 31,000. Is that true and does that sound like a decent way to go ? Mel, you can totally stay in Mexico for periods of 180 days each with visitors visas. There is no limit. If you apply at the Mexican Consulate for a temporary visa as an investor, you will need to prove you have invested around 80,000 USD in your busines in Mexico. These legal documents may be: deed of incorporation filed in Public Records, contract of purchase and sale of shares, contract of transmission of shares, to name a few. Thx for the info again, it’s quite hard to find out all of the ways to go about stuff. Anything you know about being allowed to ship it there or any help as to where I would look to find out and get started ? Mel, you can’t have work permits without a temporary resident card first. And you won’t be able to start your business without a work permit; you may be able to incorporate it but you won’t be able to represent the Company to sign contracts (your lease for example) until you get a work permit. 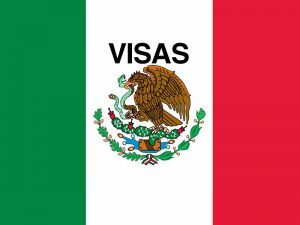 If you plan to come to Mexico on tourist visas, that is ok, but keep in mind you will need a temporary resident card with a work permit in order to work in Mexico. Also, when you are in Mexico on tourist visas, you are not allowed to change status to temporary residency within Mexico, you must start the process at a Mexican Consulate abroad. We are Americans thinking of semi retiring in Merida or Progreso by purchasing a property that we can live in and operate as a B&B. First, do we need a business/business license to this? If so, obviously we would be living there and running the business ourselves. would that be acceptable? Second, one property we are looking at is “owned” by a Mexican business. Can the B&B be run through the same company? Karen, you will need to either have a Company that receives the income, makes the expenses and pays the taxes or one of you could run the business as an individual with business activities. If the property you will be buying is already owned by a Mexican Company, when you buy the property you can run the B&B through the same Company. Hi, my husband is originally from Mexico City and obviously has his Mexican citizenship. He also has his Canadian citizenship. We are going to be selling shoes in Mexico. The shoes will be will be made in Mexico City. We live in Montreal. do you think it would be more wise for my husband to open the company in Mexico or do it from here? Jackie, definitely it will be easier to conduct the business if it is opened in Mexico, since the production and the commercialization will be done in Mexico. We looked into Bancomer’s Preferred Customer Program, it doesn’t seem like the bank has it anymore. Did they close down the program or are they calling it something else? If so do you have any other recommendations when looking for a small business loan? Helene, unfortunately they closed the program. We are sorry, we do not know of other institution that provides loans to non-Mexicans. Personally I will be living in Mexico 6 months of the year and Buenos Aires the other 6. Business I also will be starting a tech support business in Mexico that employs Mexico tech workers. My wife is a Guatemala Citizen and my hope is she can just apply for FM3 visa Family and not worry about income requirements we also have a 4 month old daughter US Citizen. I should eaisly show an US based account with $12,000 USD in it, not positive I will show $1,000 USD contentious deposit into the account. Plan is for me to go to Mexican Embassy in Washington DC in December, apply for the FM3 Rentisa showing $12,000 USD income, get approved. Then have my wife go to Mexican Embassy in Guatemala in February and apply for FM3 Rentisa Family, get approved then travel to Mexico in March. Looking for any holes in the my logic here. BadMin, for your information FM3 is now called Temporary Residency. The minimum monthly income you must show is 1,200 USD for the past 6 months or mínimum savings of 25,000 USD for the past 12 months . Once you get your visa, you come to Mexico to get the resident card at the Immigration office; once you get it, your wife and daughter can apply for temporary residency by family unit (providing marriage and birth certificates). They can do this at the Immigration office in Mexico, they do not need to leave Mexico to go to Guatemala. My husband has partnered with a Mexican National in a print manufacturing business in Mexico. The deal is 70/30 with the majority share owned by the Mexican Businessman. My husband has the know-how in running this kind of business plus, the administration and art department are in Arizona, USA. We would like to get a small business loan here in the US but are wondering how to go about it. We are currently living on his IRA money, but we are being penalized 10% because he is only 55. We own our home and can used it for collateral. What would you suggest we do to get a loan? Who should we contact? Penélope, unfortunately we cannot guide you in the right direction since we are not familiar with loans in the US, only in Mexico. In Mexico you would not be able to get a loan as a tourist, but perhaps the Mexican Company could get the loan. Hello! We have recently opened a distribution company(a mexican company with 3 members… 2 foreigners and 1 mexican) here in Yucatan but we would like to know if there is anyhow possible to deposit a bigger amount of money at one time in the bank because all is that we heard from banks is that they accept cash only up to 3000 dollars per month. In case if we intend to do a transfer of 15000 dolars it is illogically to wait 5 months to proceed with this transfer. Im wondering how bigger companies start a business here with such limitations? Could you tell us if there is a consultory office in this matter here in Merida? I am an Englishman reaching the age where pension funds are Avaiable. I have a long relationship with a citizen there in Merida. She speaks excellent English and on numerous occasions when here in English Tearooms says how successful a English Tearoom would be there in Merida. Bringing a little shabby chic Tearoom, serving afternoon tea a selling specialist teas. In your opinion would it make a viable self employed business? If so is there people who could help us set up the legal side of the business and start up costings? Ian, it sounds like a good idea and there’s no business like such in Merida as of yet. For the legal side of the business we’ d be happy to assist you. Send us an e-mail to info@yucatanyes.com for further information. Great post page, very interesting and informative. I’m a freelance designer/artist who would like to open a gallery/design studio in the yucatan area or nearby coastal area. I also teach art workshops and would like to continue teaching to tourists. From what I have read an LLC would be the best way to get set up??? Is there a limit to the scope of work conducted, in other words can I teach art, hang and sell art, and have a design studio? Would the LLC be the best formation for what I want to do?? Liquor license in the Yucatan: Are they required for a bar/café business? How difficult is it for an American to get one? Is there a graph / diagram – or could someone create one that shows, in simple format, the various steps to obtaining visas, work permits, temporary resident documents, etc. BJ, as long as you are planning to sell liquor, you will need a liquor’s license. If you have residency in Mexico it will take the same amount of time and effort as for a Mexican citizen. Hello! I read this entire thread and am still a bit confused! I am in Mexico on a tourist visa and want to start a small general business consultancy with a local (Mexican) business partner. What type of business can I be a partner of, with only a visitor’s permit? I don’t qualify for temporary or permanent residency. I may or may not actually work for the consultancy; if I do, I would be handling business outside of Mexico, or just serve as an advisor. Suggestions? Parameters? Hey, I’m planning to move Merida next Spring and I would like to develop my own business for expats. Could you help me sharing advices to get a better idea how I can get a specific ideas about services/ products I can offer to them? I’m a licensed Cosmetologist in the state of California. Do I need to reapply for a license to work in Merida Yucatan?